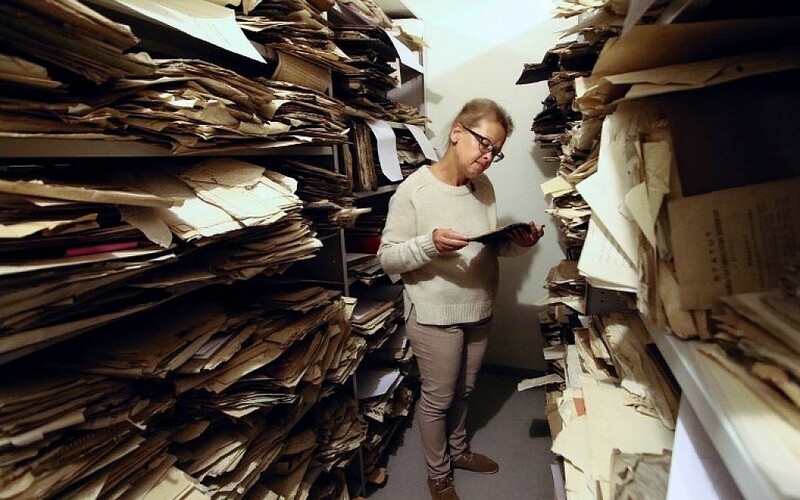 VILNIUS, Lithuania (AFP) — For decades, a confessional in a church in Lithuania’s capital Vilnius kept a precious secret: a trove of documents offering an unprecedented glimpse into Jewish life in Eastern Europe before and during the Holocaust. The cache, with documents dating back to the mid-18th century, includes religious texts, Yiddish literature and poetry, testimonies about pogroms as well as autobiographies and photographs. “It’s almost like you could reconstruct Jewish life before the Holocaust based on these materials because there is no aspect and no region and no period that is missing,” he added. 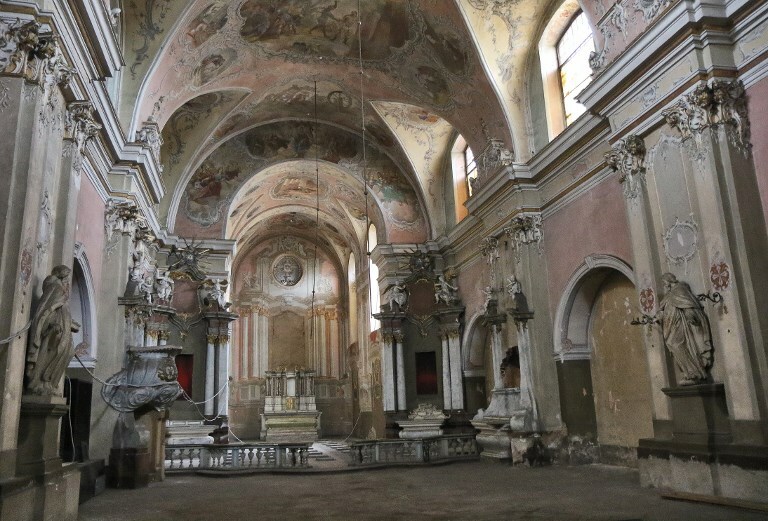 The trove was discovered earlier this year during a clean-out of the church that was used as a book repository during Soviet times. The documents, together with a larger cache found in Vilnius nearly three decades ago, are “the most significant discovery for Jewish history since the discovery of the Dead Sea Scrolls in the 1950s,” Fishman said. “We had the versions that he reconstructed from memory and published right after the war,” Fishman said of Sutzkever, who survived the Holocaust. An 1857 agreement between the Jewish water carriers in Vilnius and the city’s famous Ramailes rabbinic Talmudic academy, or yeshiva, offers a telling insight into everyday life 160 years ago. In exchange for copies of the Bible and Talmud, the yeshiva agreed to let the water carriers use a room for prayers on the Sabbath and holidays free of charge. A ledger of the patients of Zemach Shabad, a famous Jewish doctor and social and political activist whose monument stands in central Vilnius, was also among the documents seen by AFP. Known as the “Jerusalem of the North” before World War II, Vilnius — Vilna in Hebrew and Vilne in Yiddish — was a hub of Jewish cultural and religious life and home to hundreds of Jewish social, religious, cultural and scientific organisations. Established in 1925, the YIVO Yiddish Scientific Institute was among the most important. Co-founded by Shabad, it documented and studied Jewish life in Eastern Europe. Its New York branch was founded in 1926, and became the institute’s headquarters in 1940 as Nazi Germany invaded Eastern Europe. After occupying Vilnius in 1941, the Nazis destroyed the Jewish community and plundered its cultural wealth. Jewish poets and intellectuals were coerced by the Nazis in the Vilnius ghetto into selecting Yiddish and Hebrew books and documents for a planned institute in Germany about the people they had slated for annihilation. The Germans sent a portion of the plundered texts to Frankfurt, but the Jewish archivists risked their lives to hide a vast array of precious documents from their tormentors. But that was not the end of the threat. 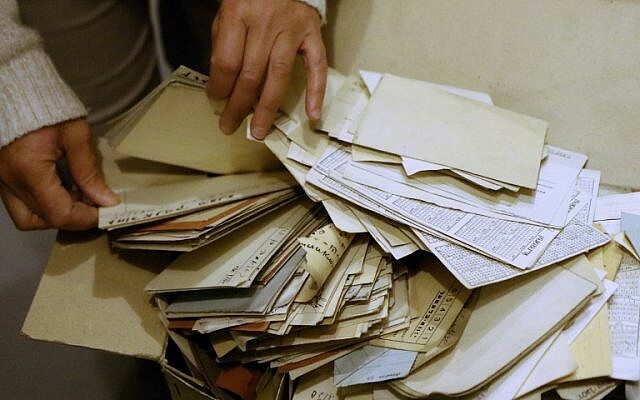 After the war, a Lithuanian librarian, Antanas Ulpis, intervened to save those documents that had survived the Nazis from the country’s new Soviet occupiers, who were bent on destroying them as part of dictator Joseph Stalin’s anti-Jewish purges. 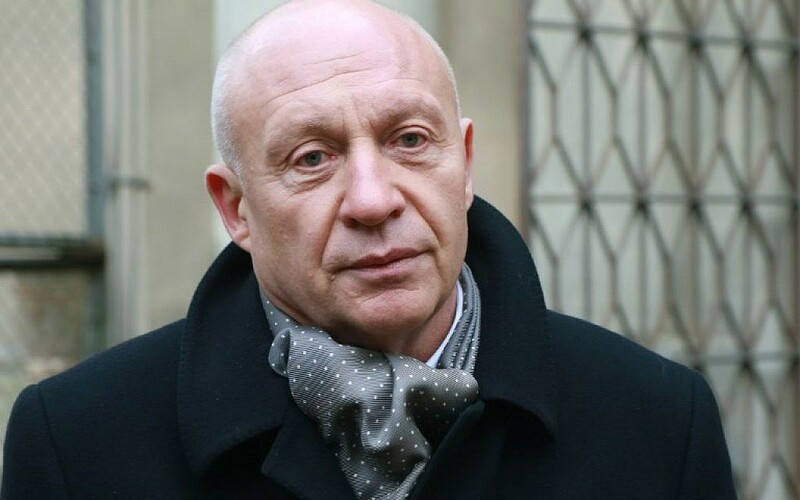 Ulpis deftly hid some of the manuscripts “under a pile of Soviet journals — that’s why no one bothered to look, that’s why they weren’t discovered sooner,” Renaldas Gudauskas, director of Lithuania’s National Library told AFP. There they remained untouched for decades in the confessional in St. George’s Church that the Soviets used as a book repository after the war. 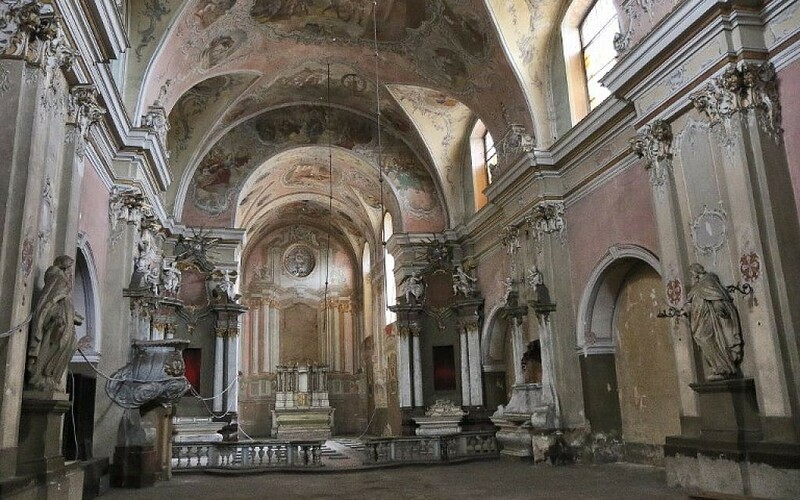 It was only earlier this year when any remaining papers were being cleared out in order to hand the building back to the Catholic Church that the pile of Jewish documents was stumbled upon. 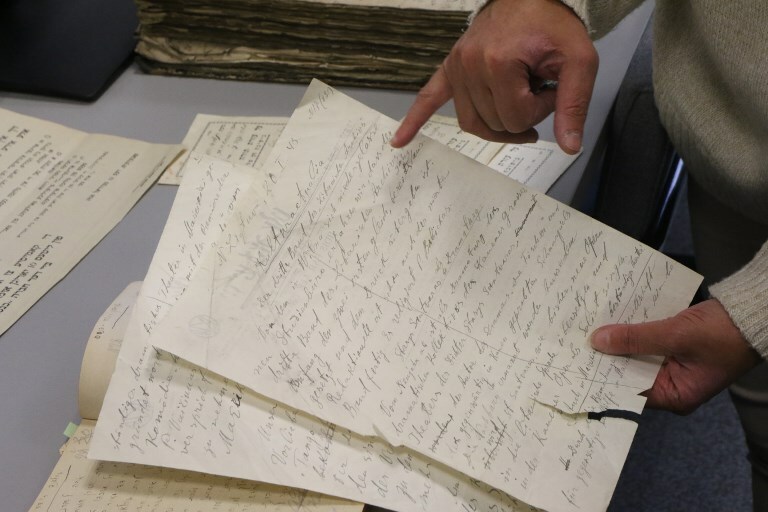 They were transferred to Lithuania’s newly renovated national library in Vilnius which already holds a larger archive of Jewish documents discovered in the capital after the collapse of the Soviet Union nearly three decades ago. The entire collection includes roughly 170,000 pages, Lara Lempertiene, head of the national library’s Judaica Research Centre, told AFP. Library archivists, who read Yiddish and Hebrew, pore over the newly found documents that Fishman estimates will take five years to catalog. They are also preparing them to be accessible on the internet. 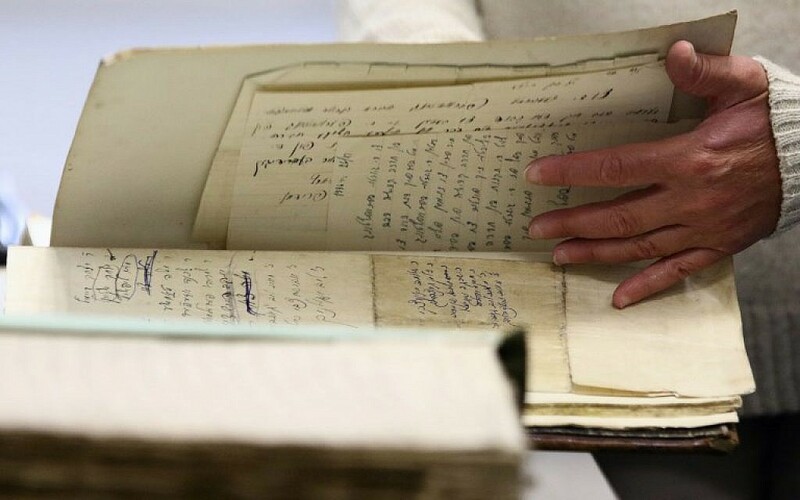 The New York-based YIVO Institute has spearheaded a bid to put the collection online along with Jewish documents from Vilnius that the US Army found in defeated Germany in 1946 and sent to New York. Launched two years ago, the cyberspace history project aims to put the overall total of more than one million documents online in a digital archive highlighting Jewish life in Eastern Europe before and during the Holocaust. Archives that were once scattered on both sides of the Atlantic “are now conceptually, intellectually and physically being reunited,” says Lempertiene. 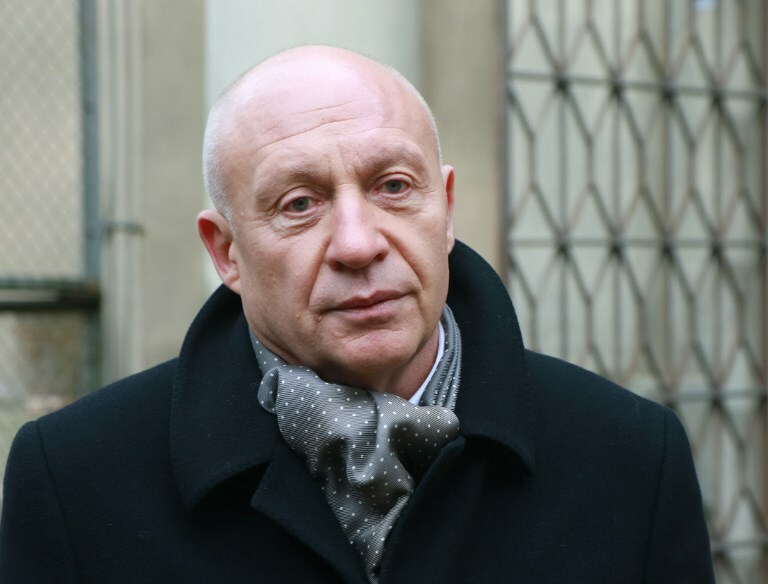 For Simonas Gurevicius, one of the city’s few Jews who still speaks Yiddish, the newly discovered archive proves that Hitler and Stalin ultimately failed to wipe out his language and the civilization built around it. “The star of the Northern Jerusalem nearly burnt out, but its light is still shining,” Gurevicius told AFP. Some 195,000 Lithuanian Jews perished under the 1941-44 Nazi German occupation. Today, there are around 3,000 Jews living in the NATO and EU country of 2.8 million people.